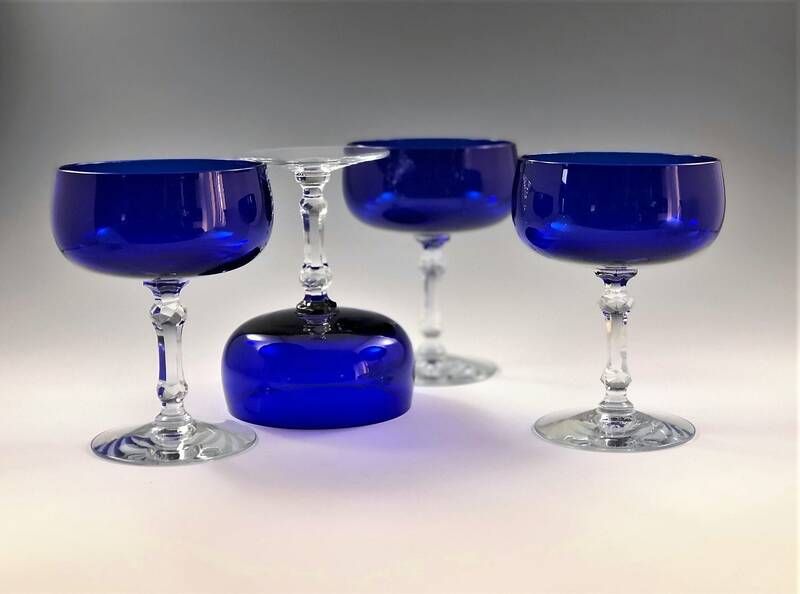 Featured is a stunning set of 6 vintage champagne coupes or cocktail glasses. 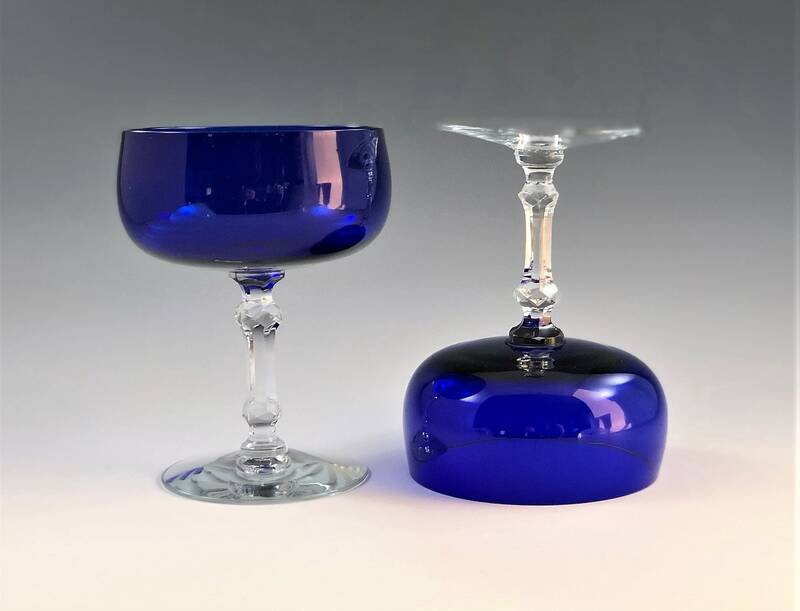 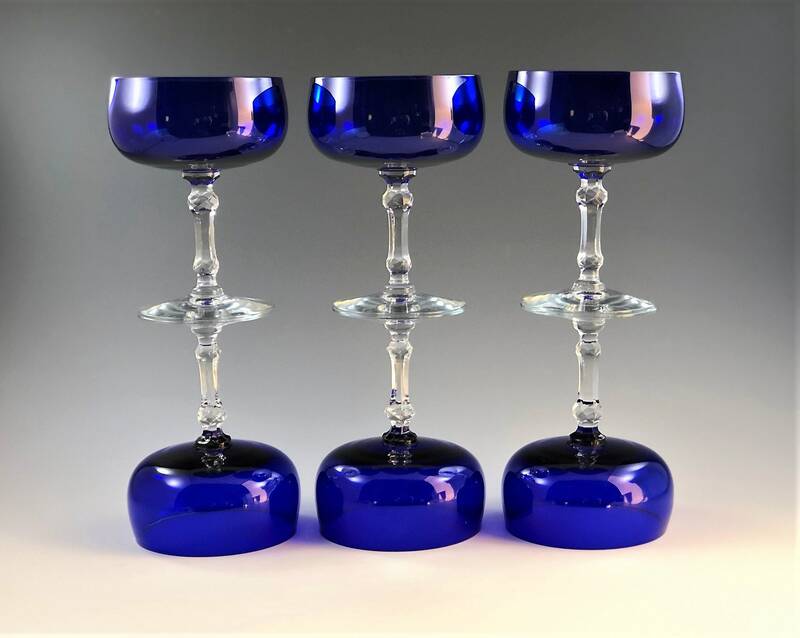 These sapphire blue pieces have elegant, clear glass stems. 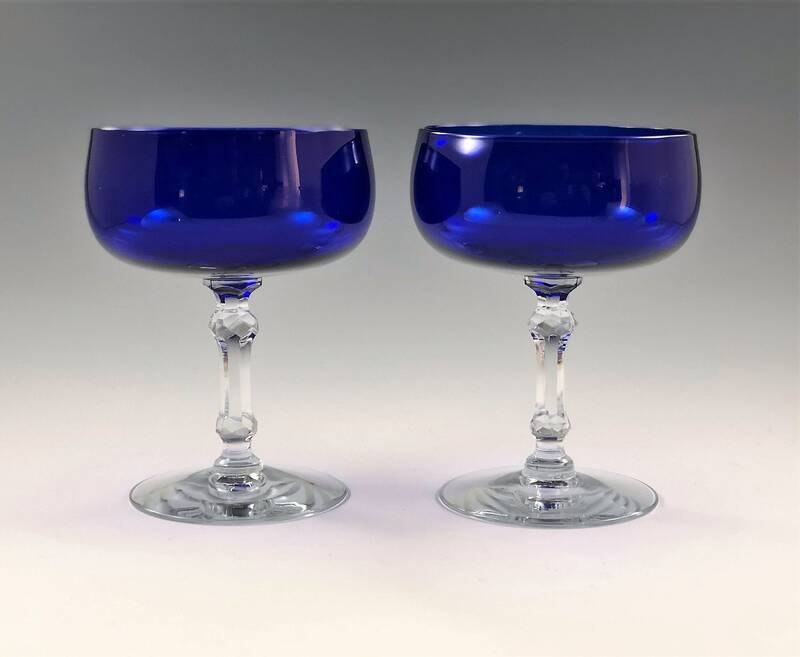 They measure about 4 3/4 inches tall and about 3 1/4 inches in diameter at the rim. 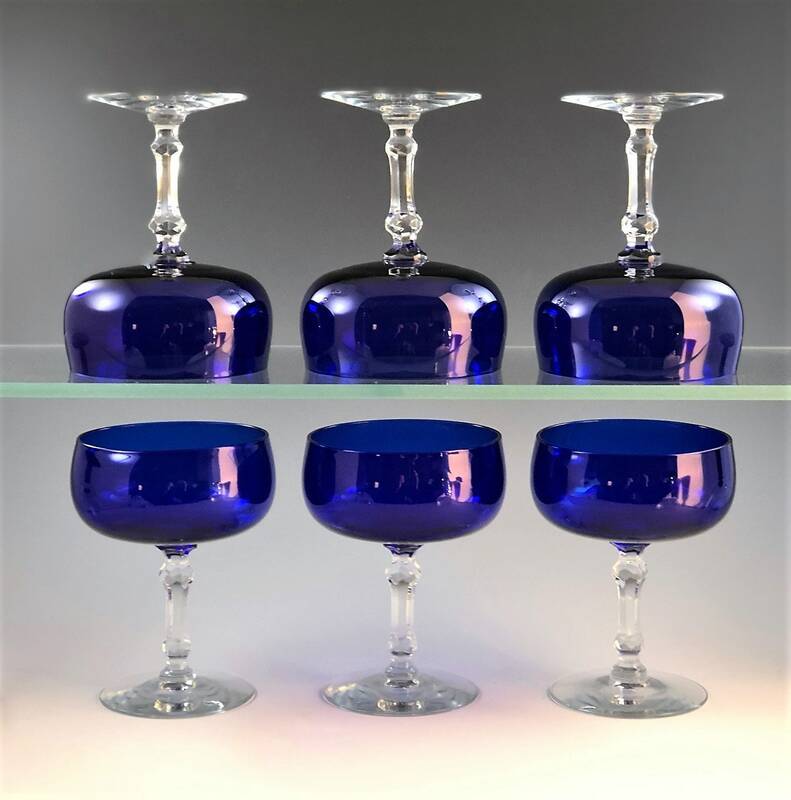 All 6 are in excellent condition, free from any chips or cracks. 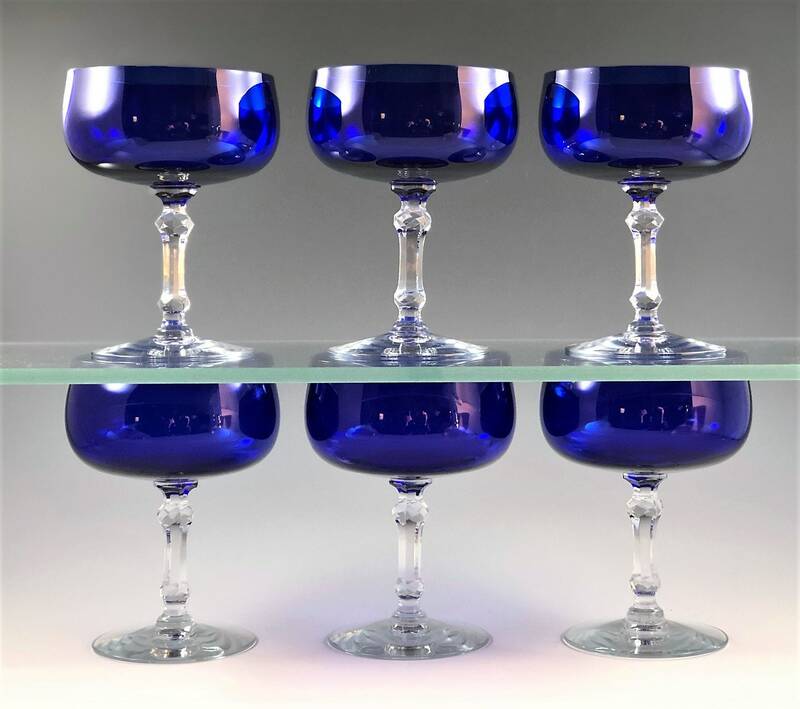 All 6 glasses offered for one low price.